Caregiving is willingly undertaken out of love and devotion to the person with ALS and can be a source of great personal satisfaction. Yet, over time, caregiving exacts an enormous emotional toll, and can adversely affect the caregiver’s physical and psychological health, threatening their ability to continue providing care. Concern for the ALS patient often causes the caregiver to overlook her/his own needs eating properly, getting enough rest, taking time to pursue one’s own interests. Primarily, caregiving is provided by family members. Family caregivers provide care day and night, over weekends and on demand. Caregiving can include personal care, assistance with mobility in the home, transportation, housework, and grocery shopping, along with looking after other family members’ needs. Caregivers are often employed outside the home and may be the primary source of household income which adds even more demands, responsibilities and stress. The family caregiver spouse, partner, adult child, parent, brother, sister — needs acknowledgement and support in the process of starting and maintaining the care-providing relationship. More than 65 million people, 29% of the U.S. population, provide care for a chronically ill, disabled or aged family member or friend during any given year and spend an average of 20 hours per week providing care for their loved one. Approximately 80% of home care services are provided by family caregivers. Source: US General Accounting Office (GAO/HEHS 95-26, "Long-Term Care: Diverse, Growing Population Includes Millions of Americans of All Ages") 1994. The value of the services family caregivers provide for "free," when caring for older adults, is estimated to be $375 billion a year. That is almost twice as much as is actually spent on homecare and nursing home services combined ($158 billion). The National Family Caregiver's Association has also compiled state-by-state statistics on the economic impact of family caregiving. For more information, please visit www.nfcacares.org. The National Alliance for Caregiving and AARP have released "Caregiving in the US." 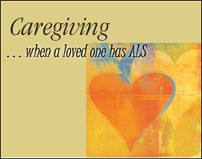 The research report and supporting documents are available on the Alliance web site at www.caregiving.org.